It’s fairly safe to say we can all agree that saving money is a good thing. Contrarily, when it comes at the expense of quality, that’s a bad thing. We all enjoy a little extra coin in our pockets; but when that coin quickly vanishes, taking several of its friends with it along the way due to unwanted breakdowns and costly repairs, we find that quality is a necessity over savings. That’s not to say you can’t have both. Thankfully, there are still some very good cars out there that can still wear the label of the best cheap cars. After verifying their worth with Car and Driver, Consumer Reports, Edmunds, and Motor Trend, we’ve brought you the list of the best cheap or affordable cars (meaning cars for under $20,000) of the 2010-2011 model years. 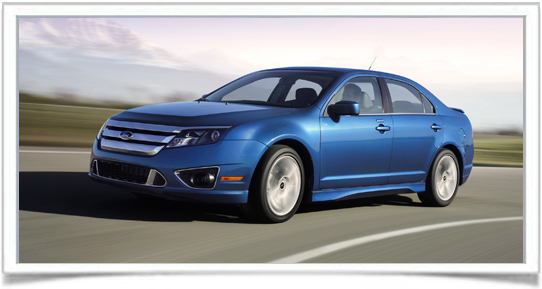 Ford has become the top American manufacturer in recent years, and the Fusion is one of the biggest reasons why. Not only does it offer three engine options (the 2.5L four-cylinder, the 3.0L V6, and a 3.5L V6 in the Sport model), but it also comes with the option of AWD. That should bring a fair amount of appeal to consumers in less-temperate climates. Suspension is soft and body roll is nicely handled, and if you really want a tightened feel, the sport-tuned suspension in the Sport model is particularly impressive. The downside to this one is the noise from the 4-cylinder engine; true car enthusiasts will want to stick with one of the V6s. Ford’s amenities and technology are miles above other American manufacturers. 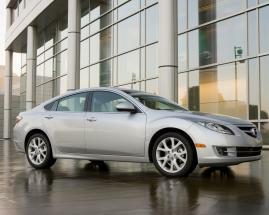 The Mazda 6 is the sister of the Fusion and sports many of the same attributes. The ride is a bit firmer, but it never reaches the point of uncomfortable. The 2.5L four-cylinder engine performs adequately, but peak acceleration will only be reached if you opt for the 3.7L V6. The cabin is modern and attractive, sporting high-quality materials and an arching center stack. Like the Fusion it also sports an impressive cargo capacity with a 16.6 cubic-foot trunk. You won’t have the luxury of Ford’s Sync system, but the Technology package features a nice mix of luxury and functionality. The 2011 Sonata is completely redesigned for the 2011 model year and only adds to an already stellar reputation. The 2.4L four-cylinder engine is standard on all trim levels but you can upgrade to the significantly quicker 2.0L turbo four-cylinder. If you stick with the base engine you’ll get a fuel efficiency of 24/35 mpg (city/highway). The turbo will knock that down to 22/33 mpg. The Sonata’s ride is smooth and the handling is tight with the base suspension. The Sport suspension is stiffer and does provide a rather harsh ride on rough roads. The interior is nicely defined and trunk space is competitive with class leaders at 16.4 cubic feet. Though the Forte is in the compact sedan segment, it has no problems competing with midsize leaders, especially with the low price tag and a 5 year/60,000-mile warranty. It features two four-cylinder engine choices (the 2.0L and the 2.4L), either is very good on fuel economy. The base model’s suspension does provide some excessive body roll, but if you up to the sport-tuned suspension of the SX model you’ll feel a major difference. Rear legroom is excellent for its class and trunk space is plentiful at 14.7 cubic feet.